This short tutorial explains how to install Qt Creator on Trisquel 8 "Flidas". You will get the IDE version 3.5.1 and Qt Framework 5.5.1 from the official repository. 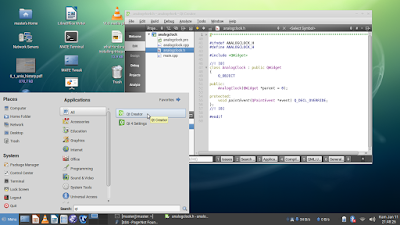 By this setup, you will get a complete C++ programming tools to create GUI desktop applications that are crossplatform (for GNU/Linux, Windows, and macOS). Happy coding! Note: this downloads around +/-100MB of data. 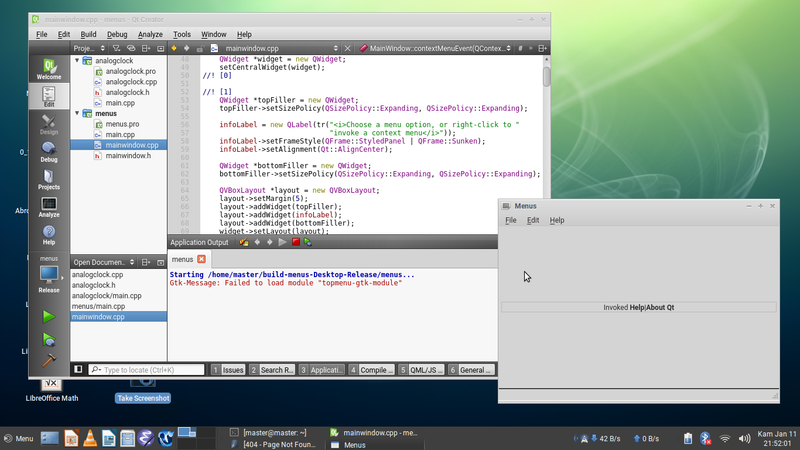 Without these packages, you will find Examples inside Qt Creator missing. Note: this downloads around +/-50MB of data. You can find Qt Creator on the desktop menu and run it.